What is–and is not–a dinosaur? Want to avoid the ire and swift corrections of a fervent dinophile? One of the first and most common ways to get a conversation off on the wrong foot is to confuse dinosaurs with other prehistoric creatures. It may not seem terribly important to most people, but getting the nomenclature right is one of the easiest ways to show you have an understanding of the prehistoric world. Need some help distinguishing dinosaurs from non-dinosaurs? We’re here to help. No matter how many blog posts and soapbox-style rants appear on this issue, the general public has–for the most part–never been taught to distinguish a dinosaur from any other extinct animal. We’re not here to point fingers. We just want to clear up some mis-conceptions. Firstly, dinosaurs are a very special group of animals that arose in the Triassic period, and, with the exception of modern birds, went extinct at the end of the Cretaceous period–some 160 million years. Dinosaurs are separated from other kinds of animals by several distinct anatomical criteria–adaptations, chiefly, of the limbs and the feet. Dinosaurs walked with their legs directly under their bodies, unlike reptiles which trudge through life with a sprawling posture. Because dinosaurs are defined scientifically by their characteristic limbs, we cannot call a pterosaur a “flying dinosaur.” It is an altogether different sort of creature. Nor can we confuse sea dragons like ichthyosaurs, plesiosaurs, or mosasaurs as dinosaurs. The limbs of these animals have all been modified and are not direct descendants of dinosaurs. They are evolutionary cousins. Mammoths and other prehistoric mammals are also not dinosaurs. Neither are pelycosaurs like the sail-backed Dimetrodon. When in doubt, look for museum labels and online assistance to determine what you’re seeing. Understand the repercussions of how an animal is classified and what those distinctions mean. Need help deciding whether an animal is a dinosaur or not? Ask us on Facebook and Twitter using the hashtag #TDIDinos. On this day in dinosaurs, Rudy Zallinger completed what is perhaps the most infamous painting in paleontology–the Age of Reptiles at the Yale Peabody Museum of Natural History. The painting, done in the Renaissance fresco secco style–similar to the process Michelangelo used for his Sistine Chapel masterpiece–and took 4 and a half years to complete. Zallinger’s work earned him a Pulitzer Award for painting in 1949. He was later asked to paint another mural for the Yale Peabody museum: The Age of Mammals. Both murals are still on public view at the museum. Share your favorite memories of Zallinger’s masterwork with us on Facebook and Twitter using the hashtag #TDIDinos. On this day in dinosaurs John Bell Hatcher discovered remains of an animal he named Ceratops, “horned face.” Hatcher unearthed an occipital condyle–the doorknob-like structure at the back of the skull that attaches to the vertebrae–and two horn cores from the beast. While Ceratops is considered a “nomen dubium” today, meaning the name is no longer used because the remains of the animal are too fragmentary and indistinguishable from other similar species, the moniker is still important in the history of dinosaur paleontology. This creature gave its name to the ceratopsian family that we know commonly as the horned dinosaurs. Also on this day in dinosaurs, a film version of a beloved Saturday morning classic television show premiered. Unlike its wildly popular predecessor (and a 90’s TV remake), this film did not produce box office gold or a lasting legacy. Even with CGI dinosaurs, Land of the Lost got lost in the summer shuffle alongside some blockbusters like The Hangover and Harry Potter and the Half-Blood Prince. Despite its shortcomings in earnings, the film possesses a cult following–as many dinosaur movies do. Share your favorite ceratopsian photos and memories of Land of the Lost with us on Facebook and Twitter using the hashtag #TDIDinos. Like its cousin, Triceratops, Regaliceratops has 3 horns. Two over the eyes and one on its nose. But Regaliceratops bears small horns over its eyes and a larger nose horn. The crown effect gave the dinosaur the nickname “Hellboy” which reverberated around the internet and gave this chasmosaurine its 15 minutes of fame. 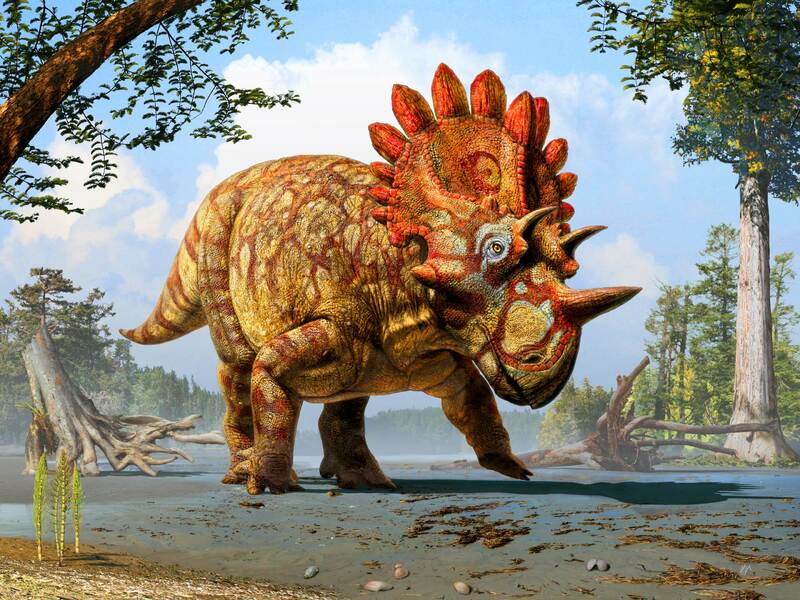 Share your favorite photos of horned dinosaurs with us on Facebook and Twitter using the hashtag #TDIDinos. On this day in dinosaurs, it’s our founder’s birthday! As a result of this sauropod-sized celebration, we’re off today, but we want to see your favorite dino-inspired birthday photos. Share them with us on Facebook and Twitter using the hashtag #TDIDinos. 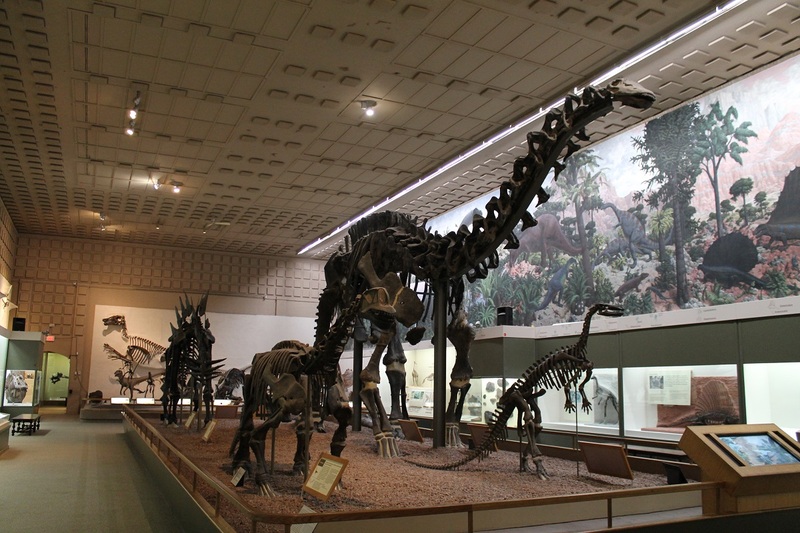 On this day in dinosaurs, the Houston Museum of Natural Science opened its new dinosaur hall opened to much fanfare. At a price tag of $85 million, the Morian Hall of Paleontology aims to take visitors on a prehistoric safari. The museum sought the expertise of world-renowned paleontologist Robert Bakker to create the experience of a journey through geologic time. The 30,000 square foot hall features theatrically posed fossil specimens, many attacking prey or evading predators themselves. 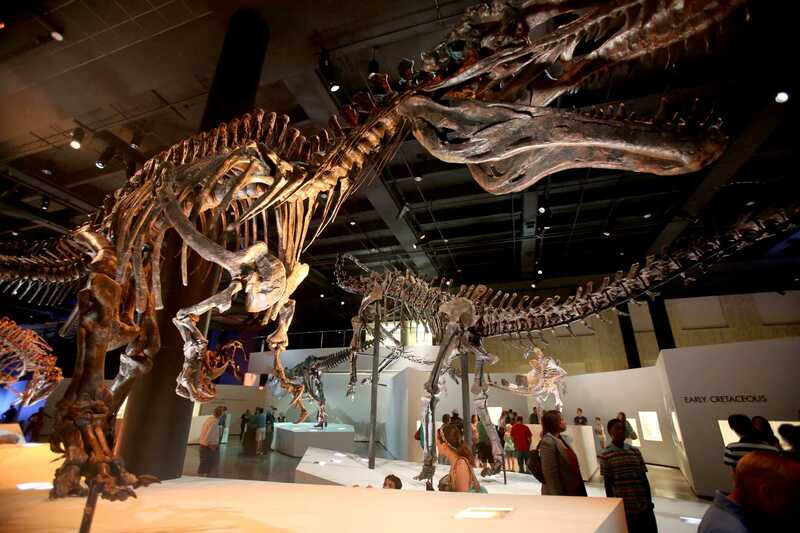 As one of the most comprehensive and dynamic prehistoric displays in the U.S., the Houston Museum’s collection of dinosaurs has become a favorite among dinophiles of all ages. Share your pictures from the Morian Hall of Paleontology at the Houston Museum of Natural Science with us on Facebook and Twitter using the hashtag #TDIDinos. On this day in dinosaurs, “Mr. Brontosaurus” got a big name drop from Sting and the Police in the song “Walking in your Footsteps” on the Synchronicity album. The song explores the relationship between the dominion of the dinosaurs and their subsequent extinction with humanity’s flirtations with atomic destruction. The song’s message is poignant several decades later, but we’d be remiss if we didn’t point out that 50 million years ago is not nearly an early enough time to spot a dinosaur. To really talk to Mr. Brontosaurus, Sting and Co. would need to travel back 150 million years. Are you walking in dinosaur footsteps? Share your photos of dinosaur trackways, Brontosaurus, and, of course, your favorite memories of the dinosaur-inspired music with us on Facebook and Twitter using the hashtag #TDIDinos.